In the UK, the “Findus” food brand has become synonymous with “horsemeat”, which is the consequence of outsourcing the supply chain for the sole aim of putting price over sustainability and quality. The product may look ok, but it’s the result of deceit and exploitation. 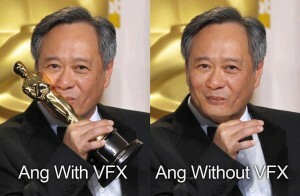 This is resonant with what’s happening in the visual effects industry where the “Green Spring” has taken centre stage since last week’s Oscars. One of the vfx facilities involved in the making of Life of Pi, Rhythm & Hues, filed for bankruptcy, unable to pay the hundreds of artists whose work earned the gong. This is scandalous as the projected revenue for the studio is $500m. In short, the studios have the vfx facilities by the balls, and there’s certainly no “market force” to help. My interest in the story is in how this impacts the infrastructure that underpins the artist’s work – the software. I work for one of these post production facilities, like Rhythm and Hues, in the software department, in London. The general view of vfx artist is that they are young, creative, highly (and precisely) skilled, available all hours – and crucially, they have mobility to follow the work where ever it may go. The industry is racing towards the next country that offers tax incentives and low wages (eg Canada and India). For these people, the industry does not provide “luxuries” like pensions, healthcare, parental leave, it does not nurture long term careers. The only people who can tolerate these conditions are the young, un-routed people – anyone with a family is not going to be tempted. The studios have done a great job in convincing people that vfx doesn’t have to abide by normal employment rules. The problem is that this culture has infected software development. If you also treat software development as a relay-race for young people then you have a serious problem. The software that runs vfx facilities is highly complex. It has to support concurrent specialised productions, stereo, high frame rates, and no doubt 4k as standard very soon – and the facilities are usually expected so absorb the extra costs. And as the work gets distributed around the world, it’s the job of the software department to shrink the world back, creating an instant, homogeneous platform that happens to span multiple countries. Forget this new fangled “Cloud” computing thing, we’ve been doing this stuff for years on minuscule budgets. Software of this complexity requires careful architecture, planning, technical expertise and continuity. Without this, your software becomes a hack-stack resembling the Tower of Babel that consumes as many resources to limp along as it does to react to new industry demands (known as technical debt). Everyone loses; the artist, the facility, the studio and the movie-goer. Incidentally, I once worked for a bank (sorry), where the guys in the testing department outnumbered developers by about 4 to 1. The result was that in my last 12 months there, we had 4 system failures but only one down to our software. One. One! Software development in vfx is very different. We don’t have the luxury of “2 months in testing”, the timescales are sometimes measured in minutes, with artists impatiently tapping their fingers. The studios have created a race to the bottom so that facilities cannot afford to properly invest in the software infrastructure that the artists use to do their magic, and it affects all of us. If you cannot provide a congenial environment for software developers, they’ll leave. We have plenty of choice in the market, unlike vfx artists, and we choose this industry because of the technical challenges and, mostly, because of the people. Developers can afford a lower tolerance of bad working conditions, but if you treat them too badly, they’re gone. Facilities, such as mine, are really trying to make this investment, but they simply cannot if the studios are turning the financial screw. Investing in software is always a long term strategy, and whilst it may seem that developers are expensive, the real expense is when they leave. Staff turnover is very expensive. Don’t give them the excuse to leave, give them proper employment conditions, give them proper benefits, look after them, give them a reason to stay and flourish. So should developers be treated better than artists? No. Everyone deserves proper working conditions and not to be treated as transient commodities, but the reality is that bad software creates a cancerous legacy that has damaging long term affects. Much of what we do is to make the artists working life easier, better, more efficient, etc – see it as our contribution to try and improve their working conditions. What we need from the industry is fairness. Not exploitation. We are not horsemeat, we are people.